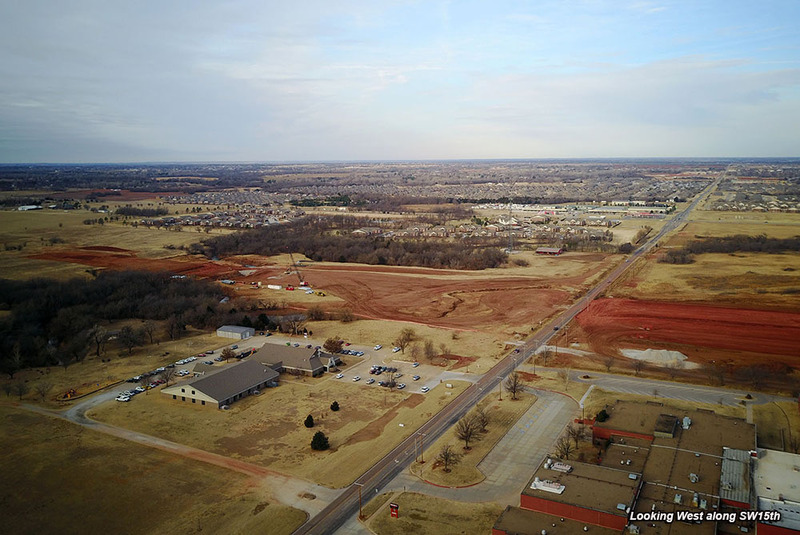 In January, the Oklahoma Turnpike Authority started construction on two new turnpike segments in the Oklahoma City area. 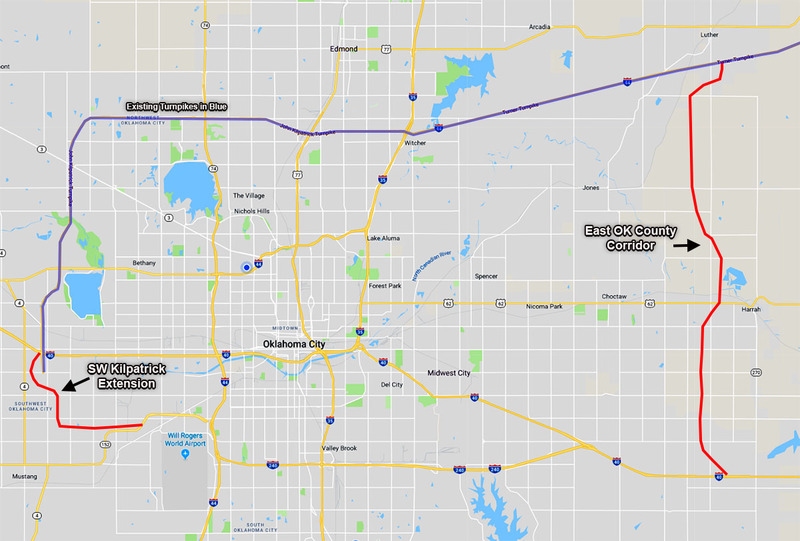 As part of the statewide Driving Forward initiative, a new 7-mile stretch will extend the Kilpatrick Turnpike to the southwest, from I-40 to State Highway 152 / Aiport Road near Will Rogers World Airport. 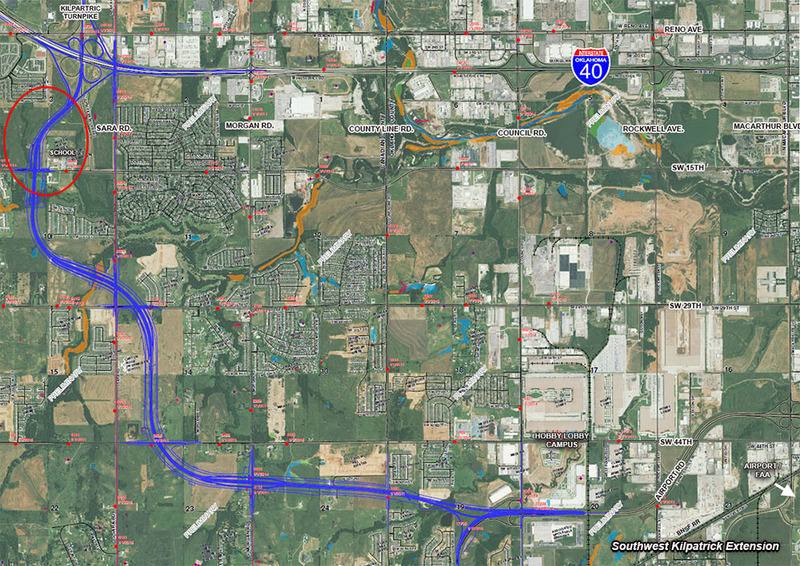 Also underway is what has been named the East Oklahoma County Corridor, 21 miles of new road between I-40 near Luther Road and all the way north to I-44 / Turner Turnpike. Both Governor Fallin and OKC Chamber President Roy Williams lobbied for the new for-pay roadways, citing the safety and economic development needs. Work has already started on the eastern road, with intersection work underway near I-44 and Luther Road. 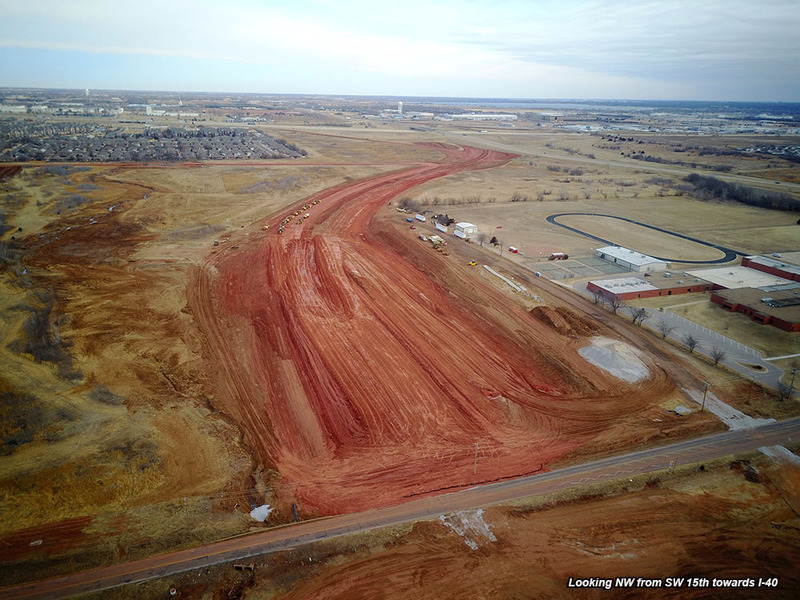 And in the Mustang area, the photos below show the considerable dirtwork for the new I-40 intersection and turnpike extension to SW 15th and southward. When complete, the two new turnpikes will function in a similar fashion to existing state turnpikes, employing PikePass electronic tolling technology or the use of cash at various intervals. The authority is also in the process of rolling out PlatePay whereby drivers can be billed directly via the scanning of the license plate.